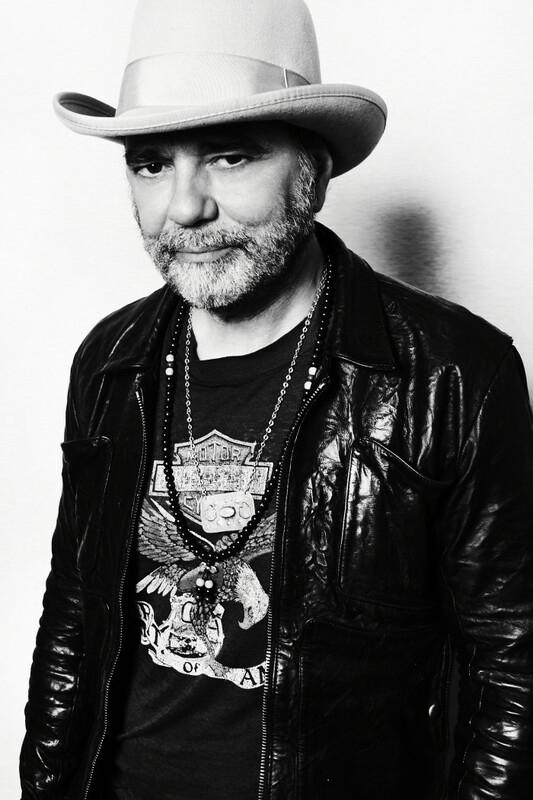 Daniel Lanois is a world-renowned musician, songwriter, and producer who splits his time living between Ontario and California. A multi-Grammy winning producer who has had a vital influence on key records by Bob Dylan, U2, Emmylou Harris, Peter Gabriel, and Neil Young, Lanois is also a pioneer of ambient music and one of the finest songwriters in Canada. His latest album is 2014’s Flesh and Machine, an adventurous record of processed instrumentation, which is available via Anti- Records. He performs solo at the Hillside Festival on the weekend of July 24 and here, Daniel and I discuss his studios in Los Angeles, Toronto, and Jamaica, the through line between early collaborations with Brian Eno and Flesh and Machine, manipulating and processing conventional instruments to create wholly new sounds, Brian Blade is a hell of a drummer and a dear friend, Daniel’s motorcycle accident in which he broke 10 bones, a Canadian motorcycle club, “The End” and “Beautiful Day,” conveying information via music and/or lyrics, plans to play a rare solo show at Hillside, planning for the workshop with Nels Cline Singers and Elaquent, ambient music as a term and communicating with Brian Eno about playing a show together, Bob Dylan and the swamp, making Time Out of Mind, the night Dylan came to his house to play him every song from the sessions that yielded the album Shadows in the Night, Dylan’s voice, steel guitar excursions, the song “Iceland,” and then where will I be?